Venus de Milo, is an ancient Greek statue and one of the most famous works of ancient Greek sculptures. 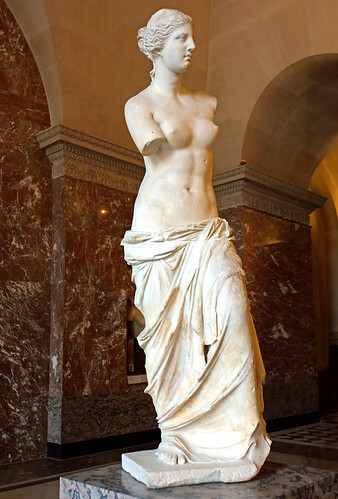 Created sometime between 130 and 100 BC, it is believed to depict Aphrodite, the Greek goddess of love and beauty (Venus to the Romans). It is a marble sculpture, slightly larger than life size at 203 cm (6 ft 8 in) high.